Looking For Men Type: I am looking for an educated, intelligent, wise, loyal, honest man, who has serious intentions to build a strong and happy family. I am looking for a trustworthy man who won't let me down if difficulties occur, the one who will be a loving and caring husband! About me: I'm positive and romantic person, and looking for a man who will understand me, with whom I could feel comfortable. 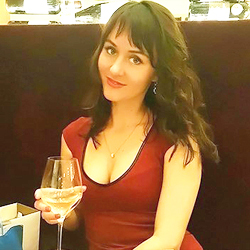 My hobby is sport, reading and just having a good time with friends.I hope to meet a right man for me to start my own family in future, I don't mind moving abroad if I fall in love and get involved into serious relations with a man from another country.